We have four great contests to determine the winners for today! Out of 796 entries, the winner of the Bake Me A Wish Brownie Cake Contest is . 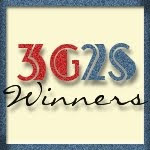 . .
Out of 386 entries, the winner of the 2 Lulas Boutique Changing Pad Contest is . . .
Out of 109 entries, the winner of the YoBaby 3-in-1 Meals Contest is . . .
Out of 76 entries, the winner of the Carry You Sicily Stroller Accessory Contest is . . .
Congratulations to all our winners and a big thank you to everyone who took the time to enter these contests! I will send official email notifications out right away. Please respond within 48 hours to claim your prizes.